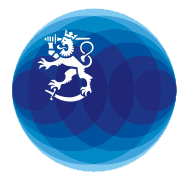 If you are a Finnish citizen and live outside Finland, you must notify the Local Register Office of change of your address. It is important to keep address data up to date. Matters such as military service are based on the address and nationality data in the Population Register System. You can be notified of your right to vote or the threat of losing your citizenship only if your address details are correct in the register. Changes of address abroad can be notified either directly to a Local Register Office in Finland or to a Finnish mission.